When it comes to wedding planning, organization is key! Without it, it’s very easy to become overwhelmed and stressed out, and no one needs that kind of negativity while planning one of the most important days of their lives. 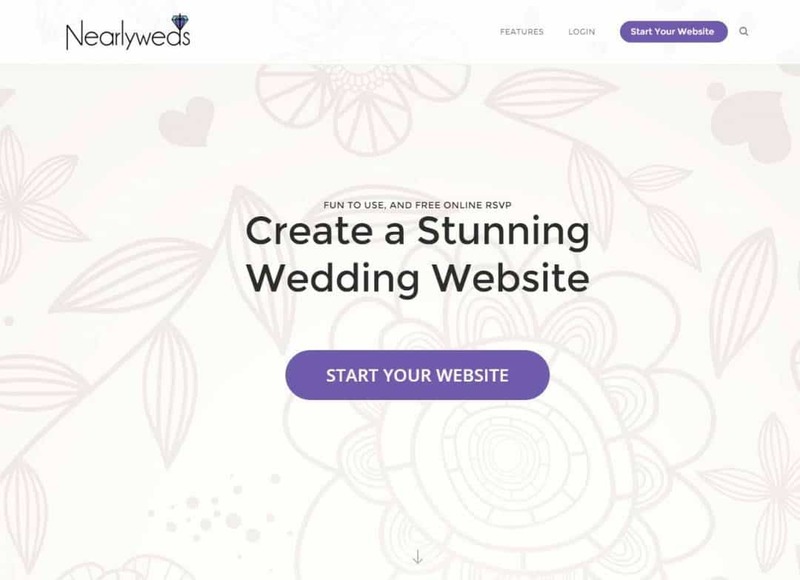 Nearlyweds wedding websites provides a service that allows everyone to stay organized, from the bride and groom to the wedding party to the guests, through a variety of tools and resources designed to keep things running smoothly during the wedding planning phase. Here, you can post whatever you’d like; the history of the ceremony venue, the directions to the reception venue, the theme of the wedding and special instructions to guests, if necessary. It’s the perfect place to keep your friends and family up to date on what’s happening with the wedding planning. 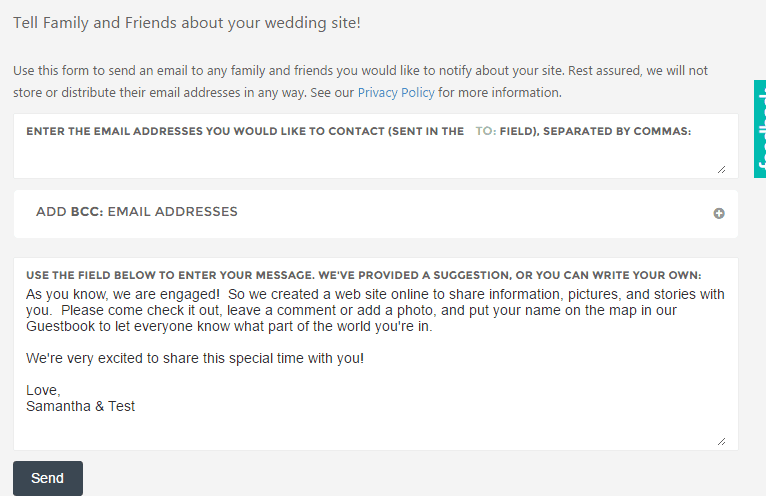 Here, you can list your wedding party and include photos, information, etc. This is the perfect place for you to post your gift registry information, and if you’re already registered, you can allow Nearlyweds to locate your registry so that your friends and family have immediate access to the gifts you’ve registered for when they visit your Wed-site. Through Nearlyweds, your guests can RSVP with the click of a button, making it super easy, therefore making it more likely that you receive all of your RSVPs in a timely manner. This, of course, makes all of the wedding planning easier – from ordering wedding favors to planning meals. In addition to the ones listed here, the Nearlyweds Wed-Site has additional tools as well, including a place to post photos, information and the story of the engagement, and information about accommodations as well. The Dashboard for your wedding website with Nearlyweds also provides some excellent tools that help with organization. For instance, you have the option to send a personalized email to your friends or family members which will let them know all about your website and invite them to join in so they can receive updates and information as it changes throughout your wedding planning process. All of the tools listed above are excellent for helping you keep friends and family updated, and the matching stationery helps keep you organized by giving you an instant solution for stationery that looks fantastic. Overall, Nearlyweds is the ultimate tool for soon-to-be brides, allowing them to stay organized from the beginning to the big day, and to keep their friends and family organized and updated as well.